This young Pueblo woman is wearing traditional Zuni clothing, Zuni beads, and the wrapped moccasins worn for ceremonial activities. 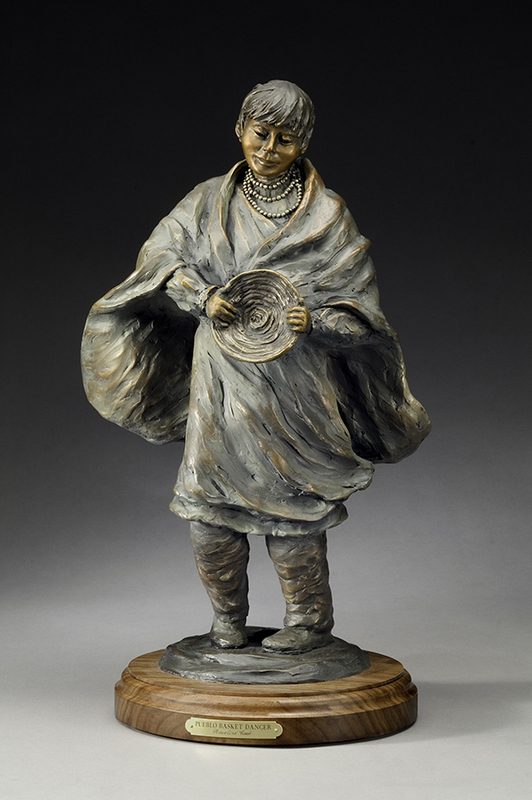 The movement of the dance is captured in the swirling of the blanket she wears and the stomping of her feet. The joy she is experiencing while dancing can be seen in her face. This sculpture is mounted on a turntable which allows the viewer to capture the movement of the dance.